This Service is owned and operated by Race-night.com. The rental service offered (the “Service”) are provided to users who are at least 18 years old (“Member”) pursuant to these Race-night.com Terms and Conditions. By using this service Member agrees to these Terms and Conditions. If Member does not agree to these Terms and Conditions, Member may not use the Service. Member understands and agrees that these Terms and Conditions represent a legally binding contract between Member and Race-night.com. In addition, when using particular Service, Member shall be subject to any posted guidelines applicable to such Service. All such guidelines are hereby incorporated by reference into the Terms and Conditions and may also be modified pursuant to the procedures laid out in Section 1, below. The contract shall in all respects be governed by English law and shall be deemed to have been made in England and the member and Race-night.com agree to submit to nonexclusive jurisdiction of the English courts. These conditions shall be deemed to be incorporated in all contracts of Race-night.com to supply Service and in the case of any inconsistency with any order or form of contract sent by the Member to Race-night.com whatever may be their respective dates the provision of these Conditions shall prevail. Nothing contained in the terms and conditions excludes or limits members statutory rights. Race-night.com may modify the Terms and Conditions at any time without notice. Race-night.com will notify Member of any such changes via e-mail and/or by post. If Member objects to any such changes, Member’s sole recourse shall be to cease using the Service. Continued use of the Service following notice of any such change(s) shall indicate Member’s agreement to be bound by such changes. Member can review the most current version of the Terms and Conditions at any time. 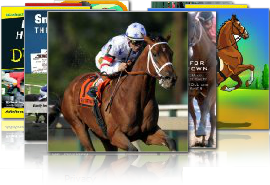 Race-night.com currently provides Member with access to a race video library which is rented to the member for a fixed fee. The racenight is delivered to the member via the internet. Race-night.com reserves the right at any time and from time to time to modify or discontinue, temporarily or permanently, the Service (or any part thereof) with or without notice. This does not affect your statutory rights as a consumer. MEMBER AGREES THAT Race-night.com SHALL NOT BE LIABLE TO MEMBER OR TO ANY THIRD PARTY FOR ANY MODIFICATION, SUSPENSION OR DISCONTINUANCE OF ANY OR ALL OF THE Service. Unless explicitly stated otherwise, any new or additional features that augment or enhance the current Service, including the release of new Race-night.com properties or Service, shall be subject to the Terms and Conditions. Subject to availability. (b) Provide true and accurate information at all times. If Member provides any information that is untrue, inaccurate, not current, or incomplete, or Race-night.com has reasonable grounds to suspect that such information is untrue, inaccurate, not current or incomplete, Race-night.com has the right to suspend or terminate Member’s account and refuse Member any and all current or future use of the Service. Member agrees not to use the Service to: a. violate any local, state, national or international law; b. stalk, harass or harm another individual; c. collect or store personal data about other Members; d. impersonate any person or entity, or otherwise misrepresent Member’s affiliation with a person or entity; e. interfere with or disrupt the Service or servers or networks connected to the Service, or disobey any requirements, procedures, policies or regulations of networks connected to the Service. Member undertakes to treat the race nights with respect and care and will endeavour to ensure that no damage is done to the videos. The member undertakes not to make any illegal copies of the videos and to respect the copyright of the films. Member agrees to indemnify Race-night.com, and its subsidiaries, directors, employees and agents for any reasonable expense (including public expenses) or damage reclaimed by third party as a result of a Member actuation or of any other person that uses the user account and password. Race-night.com has the right to disclose the identity of any Member to public authorities according to legal regulations in case that this is necessary to identify, localise or start legal action against Member and to refrain from developing any of the activities described in the previous paragraphs: Race-night.com may communicate to third parties that require it personal information of the Member in case they develop activities that in opinion of Race-night.com may damage third parties. The Member agrees to indemnify Race-night.com and its subsidiaries, directors, employees and agents for any expense (including public expenses) or damage reclaimed by a third party as a result of a Member actuation or of any other person that uses the user account and password. The member undertakes not to hold Race-night.com responsible for any delays in delivering race nights to the member. Member acknowledges that Race-night.com may establish general practices and limits concerning use of the Service, including without limitation the maximum number of days that information, data, account history or other uploaded content will be retained by the Service, the maximum disk space that will be allotted on Race-night.com servers on Member’s behalf, and the maximum number of times (and the maximum duration for which) Member may access the Service in a given period of time. Member acknowledges that Race-night.com reserves the rights to terminate accounts that are inactive for an extended period of time, as determined by Race-night.com in its sole discretion. Member further acknowledges that Race-night.com reserves the right to change these general practices and limits at any time, in its sole discretion, with or without notice. MEMBER AGREES THAT Race-night.com HAS NO RESPONSIBILITY OR LIABILITY FOR THE DELETION OR FAILURE TO STORE ANY INFORMATION OR DATA AND OTHER COMMUNICATIONS OR OTHER CONTENT MAINTAINED OR TRANSMITTED BY OR THROUGH THE Service. Member agrees that Race-night.com, in its sole discretion, may terminate Member’s use of the Service, without notice. If Race-night.com terminate the agreement under section 8, they will refund the member for any unused service entitlement, within 28 days. FURTHER, MEMBER AGREES THAT Race-night.com SHALL NOT BE LIABLE TO MEMBER OR ANY THIRD PARTY FOR ANY TERMINATION OF MEMBER’S ACCESS TO THE Service. Member may terminate their Service at any time. Notice must be given in writing and by e-mail, quoting order number. Notice must be received by Race-night.com AT LEAST 5 Working Days prior to the event date. Member’s correspondence or business dealings with, participation in promotions of, or purchase of goods and/or Service from advertisers or sponsors found on or through the Service, including payment and delivery of goods or Service, and any other terms, conditions, warranties or representations associated with such dealings, are solely between Member and such advertiser(s) or sponsor(s). MEMBER AGREES THAT Race-night.com SHALL NOT BE RESPONSIBLE OR LIABLE FOR ANY LOSS OR DAMAGE OF ANY SORT INCURRED AS THE RESULT OF ANY SUCH DEALINGS, OR AS THE RESULT OF THE PRESENCE OF SUCH ADVERTISERS OR SPONSORS ON ANY MEDIA OR VIA THE Service. Race-night.com provision of a link to any other Web site or location is for Member’s convenience and does not signify Race-night.com endorsement of such other site or location or its contents. Race-night.com SHALL NOT BE LIABLE FOR ANY INFORMATION, SOFTWARE, OR LINKS FOUND AT ANY OTHER WEB SITE, INTERNET LOCATION, OR SOURCE OF INFORMATION, OR FOR MEMBER’S USE OF SUCH INFORMATION. Member acknowledges and agrees that the Service and any necessary Materiel provided by Race-night.com and used in connection with the Service contain proprietary and confidential information that is protected by applicable intellectual property and other laws. Race-night.com grants Member a personal, non-transferable and non-exclusive right and license to use the Materiel solely in connection with Member’s use of the Service; provided that Member does not (and does not allow any third party to) copy, modify, create a derivative work of, reverse engineer, reverse assemble or otherwise attempt to discover any source code, sell, assign, rent, lease, loan, sublicense, grant a security interest in or otherwise transfer any right in the Materiel. Member agrees not to modify the Materiel in any manner or form, or to use modified versions of the Materiel, including (without limitation) for the purpose of obtaining unauthorized access to the Service. Member agrees not to access the Service by any means other than through the interface that is provided by Race-night.com for such use. Without limiting Members statutory rights, all media and the Service are provided “as is” and without representation or warranty of any kind. Member use of the Service and/or any data and/or information provided to member on or through any media or through the Service (“information”) is at member’s own risk. Neither Race-night.com, nor any of its information providers (defined below), make any warranty, expressive or implied, including any implied warranties of fitness for a particular user or purpose, or noninfringement, regarding the Service, the information, or any Service or merchandise provided over or through the Service, other than those warranties which are incapable of exclusion under the laws applicable to these Terms and Conditions or otherwise explicitly stated in any applicable agreement with member. The information, whether developed by Race-night.com or provided by third parties (“information providers”), is neither guaranteed nor warranted by Race-night.com or the information providers for its accuracy, reliability, completeness, timeliness, or suitability for member’s uses or those of any other person. IN ADDITION, Race-night.com DOES NOT REPRESENT OR WARRANT THAT THE INFORMATION ACCESSIBLE VIA THIS SITE IS ACCURATE, COMPLETE OR CURRENT. PRICE AND AVAILABILITY INFORMATION IS SUBJECT TO CHANGE WITHOUT NOTICE. Nothing contained in the terms and conditions excludes or limits members statutory rights. Member understands that to the extent permitted under applicable law, in no event will Race-night.com or its officers, employees, directors, shareholders, parents, subsidiaries, affiliates, agents or licensors be liable for any losses that were not foreseeable to both parties when the contract was made, or for losses that were not caused by any breach on the part of the supplier. Race-night.com is a trademark of Race-night.com. Other Race-night.com trademarks as well as any third party trademarks, service marks, logos, and trade names appearing on this Web Site or on or through the Service are the property of their respective owners. English law, notwithstanding Member’s actual place of residence, shall govern the Terms and Conditions and the relationship between Member and Race-night.com. The failure of Race-night.com to exercise or enforce any right or provision of the Terms and Conditions shall not constitute a waiver of such right or provision. If any provision of the Terms and Conditions is found by a court of competent jurisdiction to be invalid, the parties nevertheless agree that the court should endeavour to give effect to the parties’ intentions as reflected in the provision, and that the other provisions of the Terms and Conditions remain in full force and effect, if the agreement is capable of continuing in existence without this provision. The section titles in the Terms and Conditions are for convenience only and have no legal or contractual effect. The member undertakes not to hold Race-night.com responsible for any delays in delivering race videos from the company to the member. The member agrees not to hold the Race-night.com responsible for any content in any film rented as part of the Service.